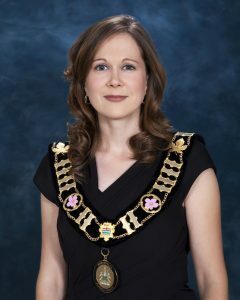 We sat down with Morinville’s Mayor, Lisa Holmes, to talk about her journey into elected office, what she has learned, and advice she’d give other women who considering running for office. What inspired you to get involved in politics? There are a few parts to that story. In grade nine, I won an award for citizenship while my peers were winning academic awards. That award changed my perspective. I realized that I could volunteer and get recognized for doing something I loved to do. School was more than math, science, english… I could contribute in other ways. In grade eleven, we were learning about the federal election and that sparked an intense interested. I got involved in political campaigns and during that time decided to go to university for political science. I never finished that degree (I was three classes short) because I got pregnant with Nathan. My husband was in school full-time and we just couldn’t afford to have two full-time students and a baby. That was a big light bulb moment for me. If you want to get involved and you want your voice heard, you have to be there at the table. As a result, I threw my name in the hat and ran for council. Even though we lived in Morinville for less than a year, I got elected. Since you were new to the community and unknown, how did you approach your first campaign? My first campaign was very small. My team was me, my husband and a couple of close friends. I knocked on every single door in Morinville, which was likely, a big piece of the success. I handed out black and white brochures but I would sign each one if no one answered the door. I would write “I am so sorry I missed you. If you have any questions, call me. Lisa.” It took forever to hand write them but I think the personal attention helped people get to know me. My signs were printed only on one side and they cost $200. I think I spent $280 on my total campaign. I had a website and some social media presence which was important because Morinville’s average age is thirty-two. I think my focus on families and young kids also helped. How did your second campaign differ from your first? The second campaign was completely different. I entered that race as an incumbent but for mayor. The campaign itself cost close to $8,000 dollars. This time I used print advertising and signage. We also did the same things that we did the first time. Door-knocked every single door in Morinville. We made sure we had the personal attention signatures on everything. I also received great advice to change my boring campaign postcards to be more relatable. I forgot about that. People aren’t looking for this really sterile, clean-cut politician—they want someone that they know. Someone that they can relate to that will speak for them. Especially in the small communities. I was a bit nervous about leaping into the mayoral race because I really loved my job as councillor. Sometimes you have to take a risk and go for it, even when your feelings are not yet comfortable with the decision. I’m glad I did. The election went well and I won on a recount by 16 votes. Every vote does count! How do you deal with the negativity that sometimes comes with being a woman in politics? The first comment I got on Twitter was that I should go to the gym and lose some weight. It was just really strange and random. When I was elected in 2010, the advice I received from other elected officials was that I needed a thick skin. It’s not just for comments that they make about you as a woman but you put yourself and your ideas out there. In municipal politics, you own the position and there’s no party to back you up. How to be vulnerable and still be brave was the biggest learning curve. I learned how to do that by mentally splitting the two parts – elected official and person ­– and realizing that when the public is commenting they’re commenting on the elected official, not commenting about me as a person. They don’t know me. They don’t know me as a wife, a mother or a community person. I separate those out very easily in my head now. What happened that made it clear those needed to be split? In 2011 we were reviewing our pet bylaw and our administration put a list of all the pets that are banned in Canada through the federal law. It included animals like tigers, lions, elephants and other exotic animals. The newspaper headlines stated that Morinville is banning elephants, armadillos and other animals. I joked on a television interview about the amendment, saying “I don’t see circus animals running down the street in Morinville.” It got picked up and people started calling me Dizzy Lizzy. They thought I looked stupid when I was just trying to make a lighthearted joke. That was my first time experiencing name-calling. I received great advice from other politicians and mentors in the region. They told me to focus on the original intent and ignore the noise. You mentioned your mentors, tell us more about them? I have two things I look for in mentorship; mentors and anti-mentors. Seeing someone in action who is very good and also learning from someone who is not. They both inspire me to be better and work harder. I won’t mention any anti-mentors. Of my mentors, I definitely consider Nolan Crouse, the mayor of St. Albert, to be a mentor. I think a lot of politicians in Alberta do. Also, my inspiration for running for office was Kim Krushell. I lived in her ward in Edmonton before we moved to Morinville. I saw her as someone similar to me – similar age and with a young son. She’s been pretty amazing. 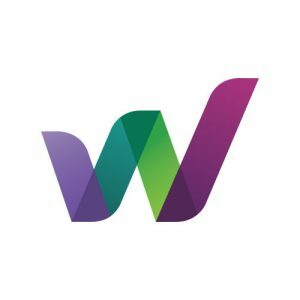 How have you been involved in supporting women in politics? I strongly believe women need to be fully engaged in politics. The conversation is richer when women are at the table and especially when they’re at the decision-making table. We do see women that are on the administrative and support side writing the briefing notes and bringing them forward to the decision makers. But to have that conversation at the decision-making table makes everything more diverse. I sat on the Alberta Urban Municipalities Association committee for women in municipal government for a couple of years before I got on the board. I got involved in the committee because I felt like an outcast when I went to big events—especially provincially. There were few other young women. I wanted to get involved and work towards achieving the thirty percent goal that United Nations set for elected officials. Then last year we actually lost that committee because in 2013 the majority of our municipalities hit thirty percent in Alberta. Thirty percent to me is not a good target but we hit it so support for our committee was not there anymore. When I became AUMA president last year, I struck a task force on the status of women and brought that back into the conversation and move things ahead like parental leave for elected officials. The Federation of Canadian Municipalities (FCM) has the Standing Committee on Increasing Women´s Participation in Municipal Government. Edmonton councillors Bev Esslinger and Ben Henderson are also regional champions for Women in Government. FCM has resources, awards, scholarship programs and mentorship to support women getting involved. What sort of advice would you give women who are considering running for office? The first thing I recommend is to determine your support network. You’ll need it to succeed. There are so many opportunities to learn and grow as a person and your family and your friends will be on the ride too. Next, would be to take a risk and do it. Everything meaningful that I’ve done in my life was because I took a risk. If it’s scary and challenging it’s worth it. If you feel like you can contribute, this is an opportunity to put your name forward and try. If you are not successful, there are so many other ways to be involved. We see a lot of really great women run for office but then are not elected. They tend to lose their way when it comes to being involved. I believe that if you’re not successful now there’s a four-year gap between elections. It’s a great opportunity to find your way so that you become the star candidate the next time. Many elected officials have lost an election multiple times before they have actually won one. Any woman who is interested in running for public office and has questions, they can call or email me. I’d be happy to chat with them. You mentioned knowing your support network. What does that look like for you? The phrase that it takes a village has definitely been very true for me. Obviously, my husband and my kids are the ones that are most impacted and involved. My husband is really supportive and understanding of the flexibility that I need with my job to attend events, meetings and all the travel. When you have younger kids, it’s actually easier because they don’t understand and they can’t read the paper. My boys are a little bit older now. My son turned thirteen on Saturday. It’s not as cool for your mom to be the mayor when you’re a teenager and he can understand the negativity. My kids, however, have met amazing people and had experiences like they have never would be able to. They know all the mayors in the region and they’re able to learn about politics at a different level than other children. One thing I’ve also learned is that moms stick together. I ask for help whenever I need it. I’ve had times where I’ve had to post on Facebook I can’t pick my kid up and someone will grab him and bring him home. People are supportive and helpful. Even people that I don’t know well in the community have offered to help if we need it because they want to see me succeed in my job because my job is to help them. My parents and my mother-in-law live in St. Albert and they have been very helpful. It is hard to find childcare that is a drop-in and flexible. Also, there have been times when the kids have come here to the office or a council meeting. Thankfully I have a really supportive council. You just make it work and you do what you can.